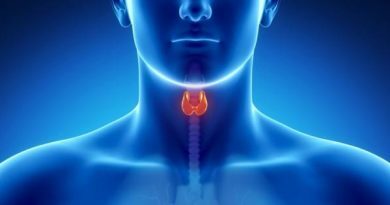 Thyroid Guide – Thyroid Disorders: The thyroid gland is a small butterfly-shaped gland that can be found just below the Adam’s apple. It produces thyroid hormones that are used for metabolism in the body. The growth and development of all the body tissues are dependent on the proper functioning of the thyroid gland. Problems arise if the thyroid gland is overactive or underactive. There are three common thyroid disorders. These are hypothyroidism, hyperthyroidism and the thyroid nodules. Hypothyroidism happens when the thyroid gland fails to produce an adequate supply of thyroid hormones. Common symptoms of this thyroid disorder are hair loss, dry skin, sluggishness, constipation and weight gain. Hyperthyroidism refers to an overactive thyroid gland. In this case, the thyroid gland produces more thyroid hormones than what the body needs. When this happens, an individual may feel exhausted most of the time, lose weight excessively, experience palpitations and irritability. Thyroid nodules are lumps that grow in the thyroid which are mostly common and harmless. Only a small percentage of thyroid nodules are cancerous. One must undergo a biopsy to be further evaluated if the lump or tumor is benign or cancerous. Not all people with thyroid disorders may notice and feel symptoms. Someone can even go on living without having any clue that they may be suffering from a thyroid disorder. It is best to consult a doctor should an individual feel any symptoms either related or not related to thyroid disorders. Thyroid disorders if left untreated may put one’s health and even life at risk. 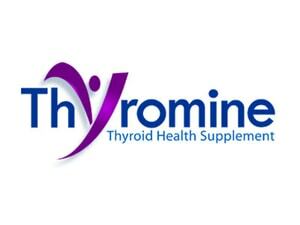 Autoimmune thyroid disorders are common and occur when the thyroid gland is being attacked by the immune system. This results in an abnormal functioning of the thyroid gland. In cases like autoimmune thyroid disorders, the thyroid gland is either underactive or overactive. Examples of autoimmune thyroid disorders are Graves’ disease and Hashimoto’s thyroiditis. Autoimmune thyroid disorders are also more common in women than in men. Hashimoto’s thyroiditis occurs in women between the ages of 30 and 50. This disease may be inherited since it appears to have a genetic component. People over 50 years old who have hypertension are prone to develop an autoimmune thyroid disorder called Graves’ disease. Thyroid disorder symptoms often appear gradually, thus making it commonly misdiagnosed. Some people may not feel or notice any symptoms at all. Common thyroid disorders are hyperthyroidism, hypothyroidism and thyroid nodules. Common symptoms for hypothyroidism are weight gain, constipation, heavy or abnormal menstrual flows, dry skin and hair loss. As for hyperthyroidism, an individual may notice and experience hair loss, excessive weight loss, frequent bowel movement and irritability. Thyroid nodules are often ignored because most of the time, the lumps or tumors are benign. But one must not ignore these lumps or tumors since these may also be cancerous. Should one feel any of these symptoms, it is best to consult a doctor and seek medical help. Tests will be done to check one’s thyroid function and determine if these symptoms are caused by any thyroid disorder.